Fire Emblem: Radiant Dawn was released for the Nintendo Wii on November 5, 2007 with a MSRP of $49.99. The game was developed by Nintendo's Intelligent Systems studio and published by Nintendo, and it received an ESRB rating of "Everyone 10+" with "Fantasy Violence, Mild Language" listed as content for gamers and parents to be aware of. 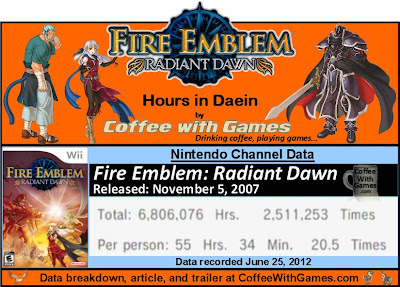 Fire Emblem: Radiant Dawn was the tenth game for the Fire Emblem series overall, and it was the first, and only, Fire Emblem game released for the Wii. 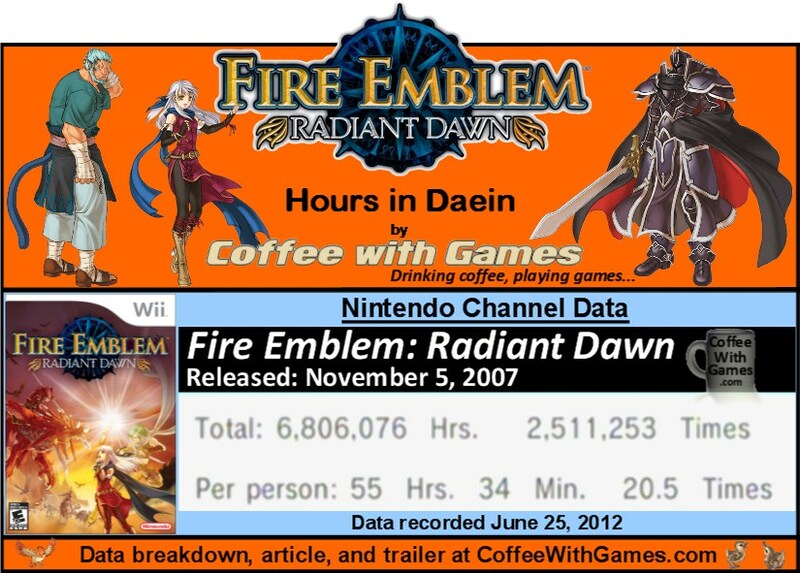 How many hours have Wii owners spent with Fire Emblem: Radiant Dawn over the last four and a half years since the game released in the U.S., and does it appear Wii owners enjoyed the game? Brew yourself some coffee, and let's take a look! 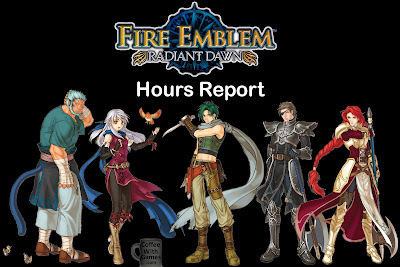 Fire Emblem: Radiant Dawn has approximately 122,500 U.S. Wii owners that have reported game-play hours through the Nintendo Channel, and the game has an average play-time per day/session of 2 Hours 42 Minutes. How was Fire Emblem: Radiant Dawn received by critics and customers? The game has a "professional" review score average of 78.48%, based on 32 reviews from GameRankings.com. Radiant Dawn has a customer review score average of 89.68%, based on 64 reviews from Amazon.com. As with many Wii games I have reported on, the customers have rated Radiant Dawn higher than the "professionals", which I always find interesting. Overall, the "professional" review score average places Radiant Dawn as the lowest ranked Fire Emblem game, that has a review score average listed on GameRankings.com. Seeing Radiant Dawn with more than 50+ hours reported "Per person" as its average probably makes it one of the top 20 most played Wii games "Per person", at least from the games I have tracked. There aren't many games I have seen with more than 50 hours of gameplay reported "Per person" as its average. I would say based on the reported gameplay hours for Radiant Dawn, as well as the customer review score average for the game being nearly 90%, that Wii owners have greatly enjoyed their time with Fire Emblem: Radiant Dawn. Have any of you played and beaten Fire Emblem: Radiant Dawn? If so, do the hours reported "Per person" in the U.S. reflect about how many hours it should take to complete the game? Or, do the hours reported show the game is being played through more than once? Also, if you are a fan of the Fire Emblem series in general, are you excited about Nintendo finally confirming a new Fire Emblem game for the 3DS? Hey awesome. I actually beat the average time played of a game! I'm far past that. It's probably the weakest Fire Emblem game if we're being honest - the difficulty is all out of balance (goes from too hard to way too easy about midway through) and the story isn't as strong as I would have liked. But it was Fire Emblem so it's still better than almost any SRPG out there. It has me looking forward to the upcoming 3DS game. As for myself, I owned Japanese version. I compared both version on my own play through with online details, discover not only dialogues are "localized" differently, but the system also changed dramatically. US - easy / normal / hard, Japan - normal / hard / maniac. In Japanese version, a master crown must be needed for class 3 promotion, and only 12-13 master crown can be found in Japanese version, meaning promotions are limited. Enemies stats also change as well as the quantity of them, no save point in games only suspend in each mode. In manic mode, enemies movement can't be check. You count them by yourself. Others I still unconfirmed but lazy to check. For FE Kakusei, I think the mainline play through is too easy even in Hard mode. But some free/paid DLCs are very challenging. Kakusei is better for casual Fire Emblem player imo. "It's probably the weakest Fire Emblem game if we're being honest - But it was Fire Emblem so it's still better than almost any SRPG out there." While the change of difficulty is unfortunate, I guess the fact it remains one of the better SRPG out there is a good thing. I know you mentioned the GameCube version on the DigitallyDownloaded post, http://www.digitallydownloaded.net/2012/06/weekend-discussion-if-you-were-stuck-on.html, and that you play it on the Wii because your GC is broken...do you have any plans on tracking down another GC, or perhaps even a backup Wii for the future? Good evening/early morning (depending what you call this time!)! As for your review, interestingly enough, your score overall score was lower than the "professional" and costumer average scores...but then again it was your first for the series, so perhaps not having played/being familiar with the story/settings made it less engaging. Thanks for stopping by and leaving the comment/feedback/link! For those that might wondering, FE Kakusei, is the newest Fire Emblem game released for the 3DS in Japan right? I wonder if perhaps the fact that it was made for the 3DS, is one of the reasons it's easier and has more "casual" appeal...they knew it would be played more out and about, and not necessarily for super long gaming sessions? Thanks again for stopping by, and the comment/feedback! 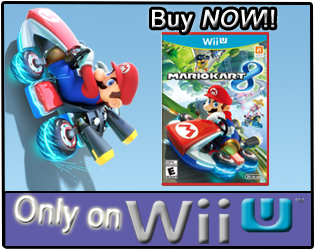 I'm kinda holding out that the Wii U will see the GC added to the Virtual Console so I won't need a backup Wii. It's interesting that the Japanese are deemed capable to play more difficult strategy games, isn't it? I found it amusing that Pokemon Conquest is lauded for being "deep" over here, but in Japan the critics were more interested in calling it a "kids friendly" SRPG. Radiant Dawn was the first FE game I played, and as such started what would become a pseudo-obsession with the series. I still think it's one of the best, and find it somewhat tragic that the newer Fire Emblems don't copy it's style more closely. I also deeply want another console version of the series, and these numbers certainly warrant it. "I also deeply want another console version of the series, and these numbers certainly warrant it." 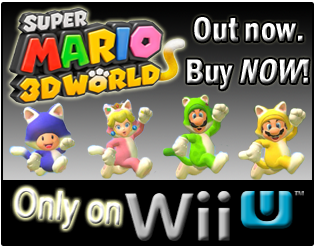 I wonder if they will use the Wii U GamePad in interesting ways, and have online support? Being that I haven't played the series, I don't even know how the Wii U GamePad could improve the series, but perhaps streaming off the tv would allow gamers to play this with others watching tv, and not hogging up the screen time as well? Seeing the new Fire Emblem in Japan has DLC, I would imagine a Wii U Fire Emblem game will have DLC as well.
" I still think it's one of the best, and find it somewhat tragic that the newer Fire Emblems don't copy it's style more closely." What part of the "style" are you talking about specifically, to someone that hasn't played the series anyway?